As the newest Explorer arrival on the island, you join the flock of people trying to make it to the Grand Crystal. Take up your weapon and join the ranks to battle a host of Eidolons and other fierce creatures in Final Fantasy Explorers. In Final Fantasy Explorers, you take the role of an Explorer who has come to try and conquer the Grand Crystal that has been discovered on the island. To get there, you’ll need to overcome a long series of missions and battles, all up until the grand finale at the Grand Crystal itself. With that said, there’s hardly much of an actual “story” to follow in Final Fantasy Explorers. As you go through the missions, you’ll get some semblance of a story, but when you finally reach the credits, you might just feel underwhelmed. I know I had the feeling of, “Wait, was that it?” when I saw the credits start rolling. Final Fantasy Explorers plays out pretty much like Monster Hunter – or so I’ve heard anyways, since I haven’t actually played the MH series. You have a character you can initially make from a selection things such as skin colour, hair colour and style, and gender. After a few short missions, you’ll be able to choose from a set of basic Final Fantasy jobs, and will receive more as you progress further into the game. Missions are set up in a fairly standard manner – accept mission, go out to do it within the time limit, get reward, get sent back to town to do it all over again. Each mission will grant you an award of CP and some items. You also eventually have the ability to add “Options” onto your missions, however I never quite actually figured out what these did besides add more difficulty. Presumably they should increase the rarity of the item drops you receive, but it never seemed to – at least for me. Skill learning in Final Fantasy Explorers is done through purchasing them with CP. All of your skills start out at a base level, and as you do stuff in the field, you’ll have the ability to get “Crystal Surges”. These Crystal Surges give you special effect for short periods of time, and they also have the ability to let you skills mutate. The thing is, you can only hold up to 300 skill mutations at one time, and once you go over 300, the older ones start to get deleted. Granted, if there are some you really want to hold onto you can tell them to be kept, but sometimes you can power through them so fast that it can be hard to keep up with all of them. There’s also the fact that when you change jobs, you’ll have to completely restart your skill work for any that don’t transfer over to your new job. The skill system becomes a bit more annoying when you realize just how much CP you need to get what you want. Depending on what mutations you give to your abilities, the price will go up by various amounts. This winds up with you needing to spend a good chunk of CP just to purchase one mutated skill later one, after you’ve given it a fair number of mutations. The mutations themselves are quite useful, although you’ll have to keep in mind that all the status effect ones don’t always work on bosses. The reason the CP costs gets annoying is that you tend to only get enough CP to afford one or two mutations per mission later on. There is a fortune teller you can use to try and help increase your CP earnings, however the effect you get from the fortune teller is random and you can’t reroll once you’ve obtained one. CP will quickly become your most needed currency, especially when you consider it isn’t only used for the purchasing of skills. 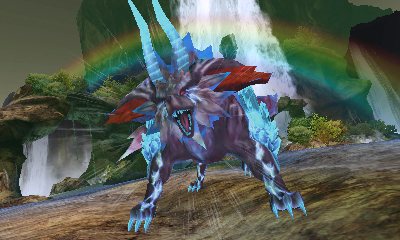 Equipment upgrades in Final Fantasy Explorers is a multi-step process. First, you’ll need to unlock the plan for the equipment, either through progressing through the story or from completing special tasks. Once you have the plan, you’ll need to get the materials. Materials are obtained from defeating enemies, with rarer items coming from higher tier missions. Once you hunt down those materials, you’ll need to use gil to purchase it in the shop. Once you have the gear purchased, you can use materials to continue to upgrade the stats on it. This is where the CP cost comes in here – to upgrade the stats on a piece of equipment, you’ll need to use your precious CP to boost it up, with the cost depending on the type of material you are using. Then there’s the monster companion system. Should you choose to play single player, you have the ability to bring along monsters with you. To get monsters, you’ll need to first find their atmalith as a drop (it replaces their normal drop should you get one). You can then purchase monsters with gil, and also use CP to fuse other monsters (created or not) into the ones you have made for some experience. Since I ended up playing the game entirely single player, these monsters helped me out greatly. While my team ended up just being 3 Cactuars, I was quite happy with them. Monsters get special abilities you can use by tapping on the icon on the bottom screen once the gauge is filled. While playing with others is preferred, should you end up being more of a solo artist, these monster friends can help you out considerably. I had two main issues with Final Fantasy Explorers. My first issue was the random spots of major lag that would happen, namely when there was just too much going on on the screen at once. One of the most noticeable spots for this is during a mission where you need to slay 10 dragons at once. Instead of doing the smart thing and having these dragons be over multiple screens, they decided to just have them all spawn on the same screen. The game really does not agree with this, causing it to struggle a lot. The good news was that since they were so bunched up, I was able to just spam my Breath attacks on my Blue Mage to whittle them all down at once. My other big annoyance with FF Explorers was instant death attacks. If you die during a mission, you can either wait for someone to Raise you, or you can either use a Phoenix Pinion (somewhat rare) or instantly use 5 minutes of your remaining time in order to revive. These instant death attacks become more prominent later in the game, with the first instance that I ran into being Bahamut. While he didn’t directly have an instant death attack, you were pretty much just dead if you got caught in his Ultima attack. These instant death attacks became more common after that, with Odin and Tonberry King being some notable spots for them. It is not very fun to just get instantly killed, especially when it happens because you are stuck in some sort of animation. Finally, one thing I found really awkward to try and do was Encasing Eidolons. To Encase an Eidolon, you need to have a Crystal Surge ready when it is near dead. However, to do so, you need to not get interrupted and you need the enemy to not move out of the attack. If you miss, you’ll lose your Crystal Surge and will have to hope you can get back before the enemy dies. Should you manage to successfully Encase the Eidolon, you’ll be able to use what is called a Trance. If you get to a Crystal Surge during the Trance, you can use that Eidolon’s special attack. While I did end up just using Megaflare/Bahamut once I got it, you have access to all of the Eidolons you can fight (once you Encase them), along with character cameos. The cameos will only unlock should you fulfill the requirements for them, so good luck! When it comes down to it, I enjoyed my time playing Final Fantasy Explorers. I tend to enjoy times where I get to just go out and slay a ton of enemies, especially when I get to do it to some absolutely fantastic music. It is a bit unfortunate that the story is pretty sparse, and there are some notable issues with lag. 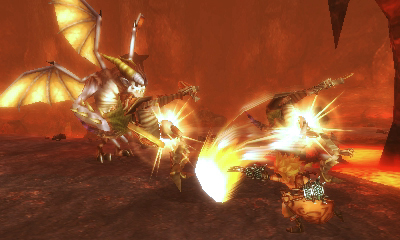 If there’s anything Final Fantasy Explorers has done, it has made me want to try out the Monster Hunter series. 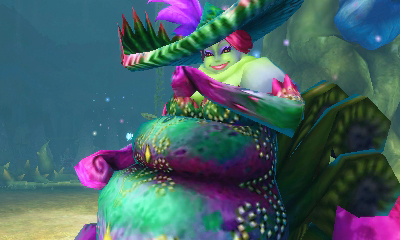 Final Fantasy Explorers does contain a lot for fans of Final Fantasy though, with a lot of cameos taking place. As long as you’re prepared for a bit of a grind if you want to get everything, then the game is quite enjoyable and will please most Final Fantasy fans. 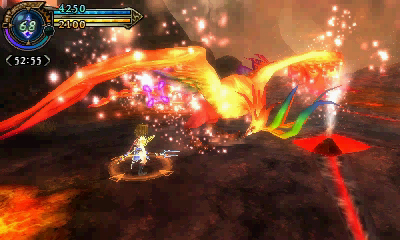 Final Fantasy Explorers is available now for Nintendo 3DS on Amazon. I would like to thank Square Enix for providing me with a copy for review purposes.